With 25 years of experience, Meena has consulted to emphasize the strategic value of qualitative research in the design of product, space and service. Meena is fascinated by the complexity of human behavior, and applies a transparent and structured approach to integrating human stories and anecdotes into mainstream processes. Qualitative research is a vehicle of human stories into a business, and additionally serves as a foundation for inspiration and internal discussions around product design. Her experience spans multiple verticals, with businesses who value qualitative research output. Meena’s goal is to help externalize the researcher’s mind, and allow stakeholders to leverage research as a strategic tool in the business. 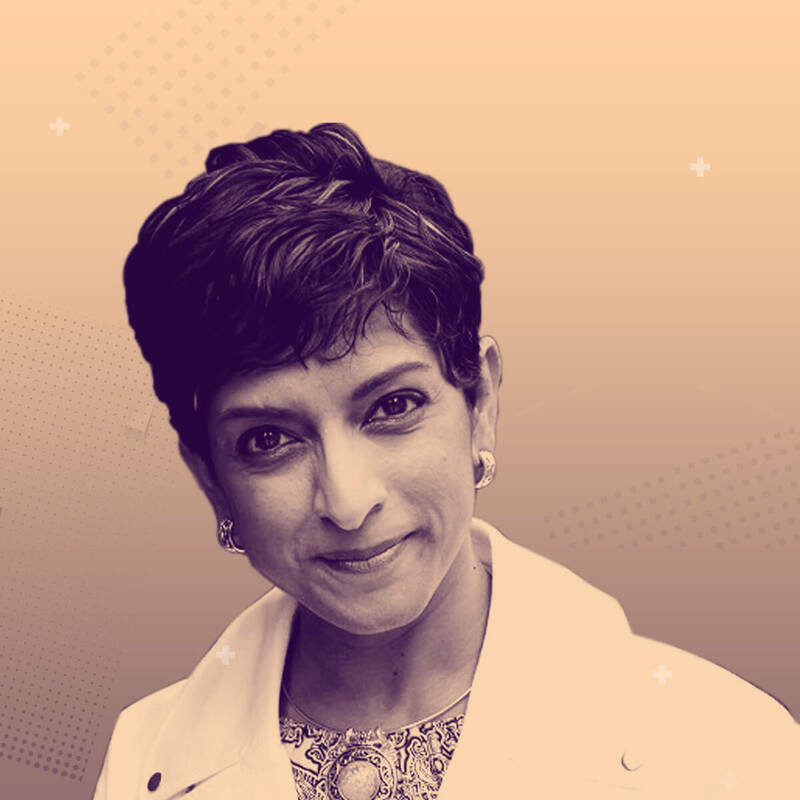 Meena is a founding member of twig+fish, a research and strategy practice based in Boston, MA, that espouses these research beliefs, while maintaining a utopic work-life balance. Apart from her core consulting practice, she has been a key contributor to the Bentley University Human Factors and Information Design (HFID) graduate program in her 15 year tenure. She holds an M.S. in Information Resources Management from Syracuse University and a B.Com. in MIS from the University of Ottawa, Canada. Meena is a proud Canadian and is absolutely fluent in poutine and beavertails! 3 hours workshop | Category: Design Practice & Process | Target Audience: This workshop is open to anyone who is a consumer or producer of research. The goal is to use the framework as a way to distribute research responsibility. Ideally – the audience will have participated or run a few research studies (of any type) – and are aware of the basic nuances to conducting research, as well as including it in larger organizational processes. Research is often cut out of organizational processes, but you know that there are so many internal questions that have no answers. You are ready to embark on a research study and you find yourself receiving questions from all directions. The questions can feel haphazard, opportunistic, and as though everyone has been waiting for a moment to get in front of people. You want to promote research in the organization, but want to bring transparency and structure to factors that must be considered when running research. There seems to be a consistent communication gap between stakeholder asks, and what research can do. In your effort to run research, you need to balance constraints such as time, budget, access to people and more. In this workshop, Meena Kothandaraman from twig+fish research practice (Boston, USA) will share a framework that establishes research transparency and structure. This workshop reveals a demonstrable approach for permeable success of research as a strategic practice within an organization. Sharing the research mindset and responsibility, and roadmapping questions to strategic organizational processes are just some of the benefits attendees can immediately apply. Discuss strategic patterns for research. Discuss approaches to ideal and constrained designs. Review talking points toward research inclusion. Reveal organizational research habits and patterns. Visualize a research road map. Position research studies across time and budget. 30 min Keynote Talk | Category: Design Practice & Process | Target Audience: This workshop is open to anyone who is a consumer or producer of research. The goal is to use the framework as a way to distribute research responsibility. Ideally – the audience will have participated or run a few research studies (of any type) – and are aware of the basic nuances to conducting research, as well as including it in larger organizational processes. To design products that are meaningful to people, we must study the people, the products and the interactions between the two. Understanding all the elements helps contribute toward successful experiences. Our challenge is that businesses often omit studying people, and simply extrapolate the interaction they have with a product to their overall behavior. This is not accurate, and often results in mediocre experiences where no is satisfied. Meena proposes to share how people need to be studied, and how we must fully understand their perspectives on products with any type of technology. When researching people, our goal is to understand their interactions with products, and gather evidence of what else they do, say and feel that brings meaning to interactions. Research should uncover the backstory to people: who are they, and what are analogous experiences to a product interaction that they can share with us? Meena will cover qualitative research approaches that move beyond the traditional approaches; ones that elicit a variety of data from people. When research provides the right platform for people to articulate themselves, we gain a much better understanding of who they are, their motivations and their overall behaviors toward a particular product and technology. How to learn from people: an overview of behaviors to emotion. Using activity-based protocols to gain a holistic sense of people. Understanding how gaining evidence about people helps strengthen design ideation.